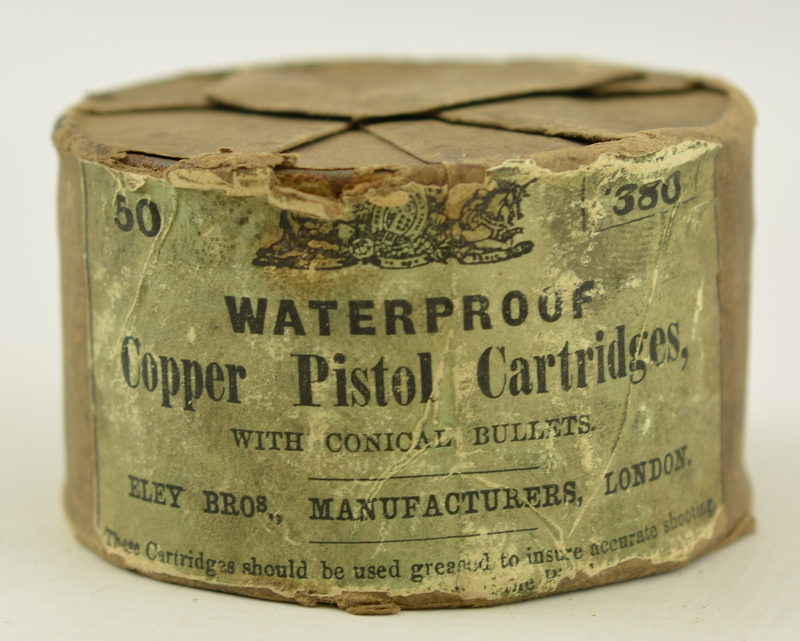 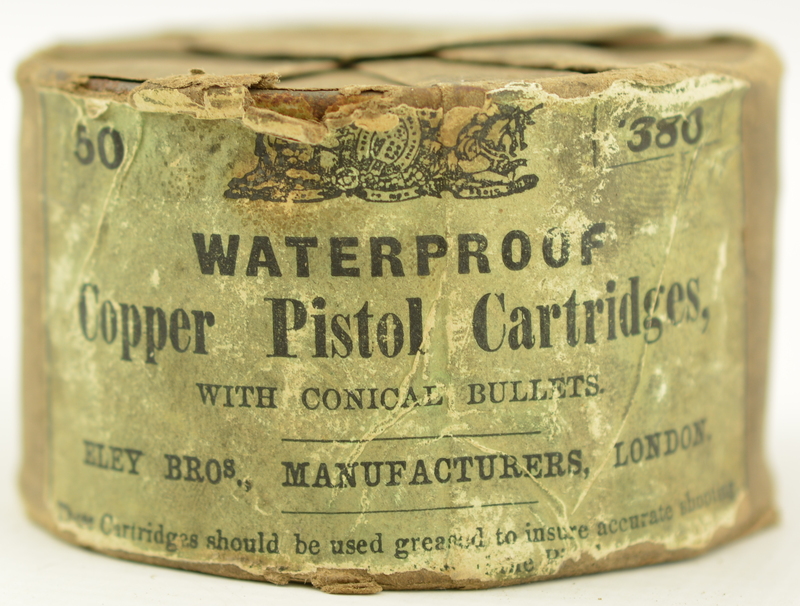 Description: This sealed round can is marked "50 .380 waterproof copper pistol cartridges with Conical Bullets" and "Eley Bros, manufacturers, London" with "These Cartridges should be used greased to insure accurate shooting." 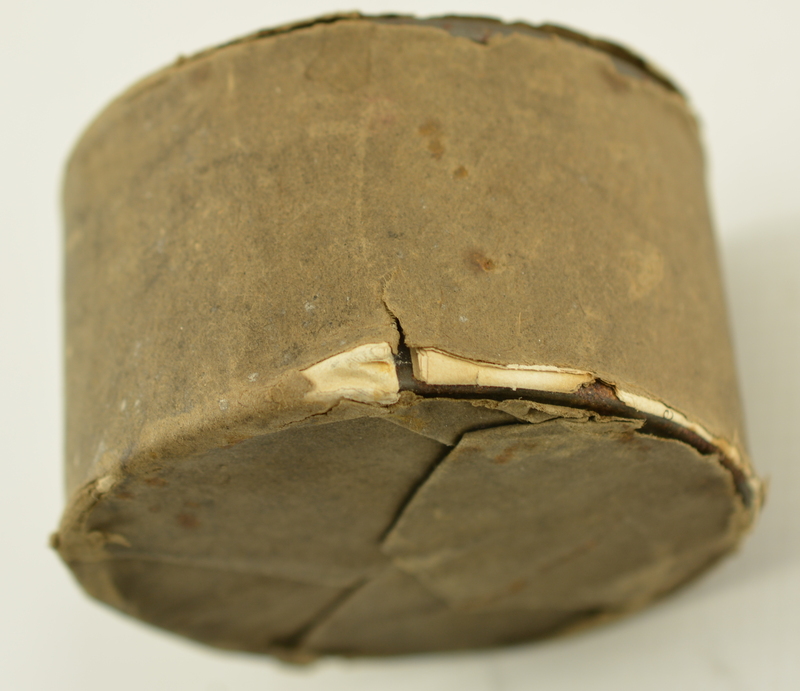 The bottom line is lost to wear on label edge. The green label is pasted to the original paper wrap, folded closed at top and bottom. 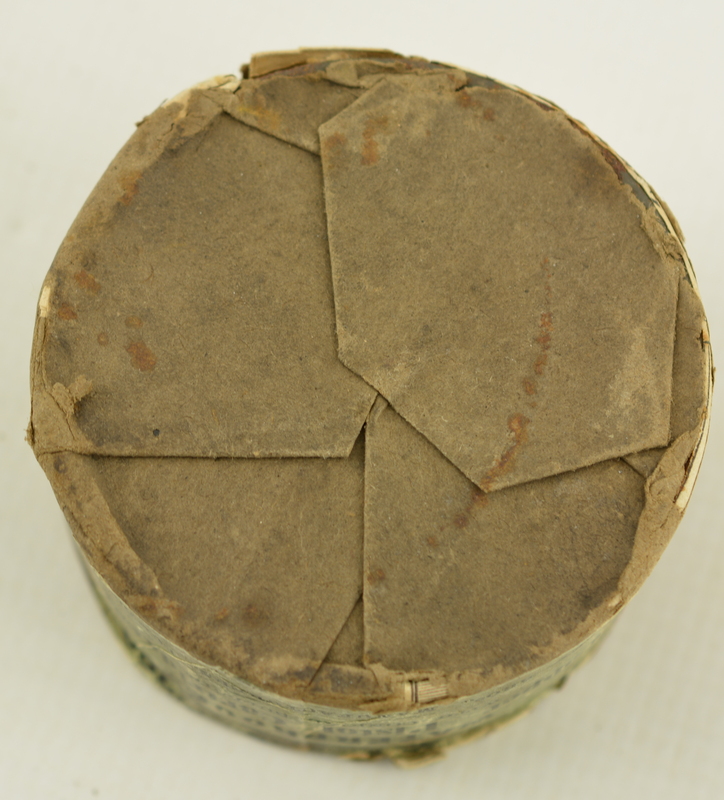 The edges are worn and bottom appears to reveal a label or info sheet hidden under wrapper. 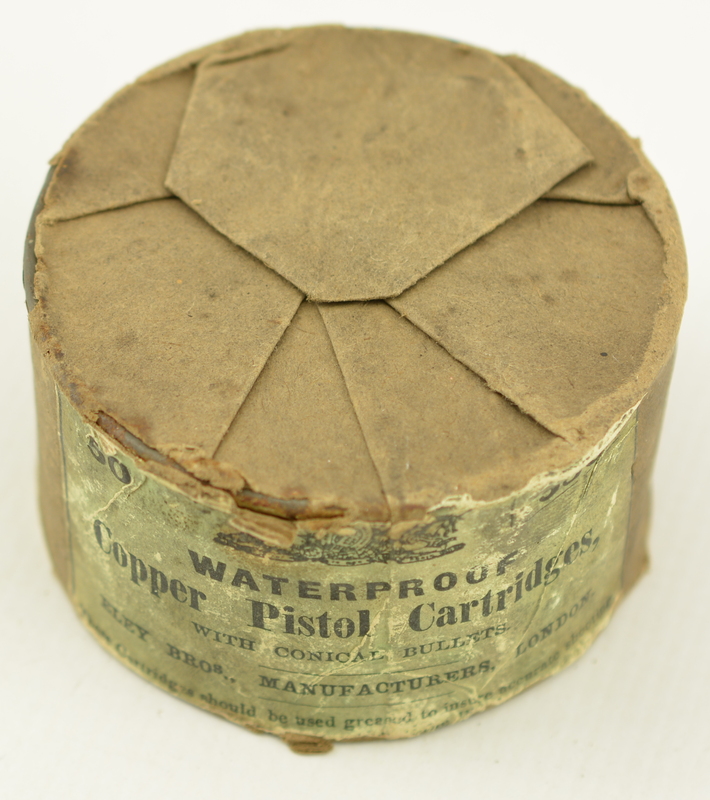 A super display item with a vintage Webley revolver.